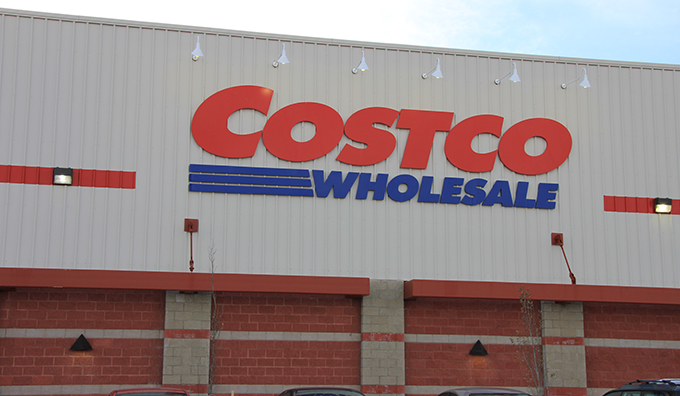 Costco joins the ranks of Home Depot and a select few other retailers where the normal consumer can now pick up a 3D Printer. Over the past five years or so we’ve seen an incredible surge in the 3D printing industry. A technology that was once only available in machine shops and high end design firms is now available on the desks of creative people at home. I remember helping my grandfather set up an ink jet printer a few years back and he was telling me about the days that printing on paper at home were new. It’s hard to imagine dot matrix printers the size of a smart car were once considered “cutting edge” and that people oodled over the ability to print a “Happy Birthday” banner across 40 sheets of paper in two hours. Now, thanks to the evolution of 3D printing a mildly tech savvy creative can produce product prototypes, plastic decorations or even sunglasses on their desk with a 3D printer. Several companies have come out of the woodwork producing printers for consumers, one of the most notable Stratasys owned Makerbot often credited with beginning the at home 3D printing revolution. Crowdfunding has also spawned a lot of 3D Printer creators, people that have had the idea to create their own 3D printer and taken to Indiegogo and Kickstarter to sell them. Companies like San Diego based ROBO 3D started out with a very oversubscribed crowdfunded 3D Printer however after raising over half a million dollars on a campaign set out to raise $49,000 ROBO3D has created so much more than just a 3D Printer, they are quickly becoming a go to name in the 3D printing space. With that, the company announced Monday that their ROBO1 3D Printer will be sold on the shelves of Costco stores in the San Diego area. The ROBO 1 goes on sale at Costco this Friday which means if you’re in the San Diego area, you can pick up your iPhone 6 and a 3D Printer on the same trip. 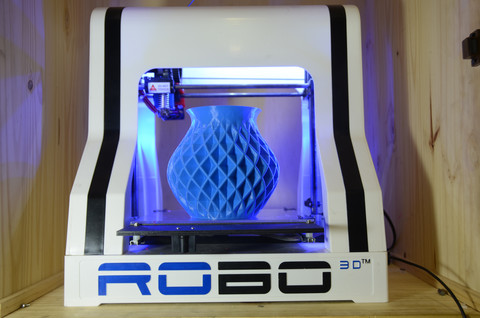 At $729.99 ROBO 3D is offering a quality 3D printer at a cost that families can afford. Heck the first HP Laserjet printer my parents bought in the 90’s cost more than that. There are a handful of 3D printers at a price point less than this but those printers are starting to accumulate bad reviews with shoddy workmanship and incompatibility with industry standard filaments. You can find out more about the ROBO 1 Here or pick it up at Costco starting Friday. The ROBO 3D team is preparing to embark on a 30 day road show to demonstrate their 3D Printer in Costco stores. Commas — look into how they are used. Please.